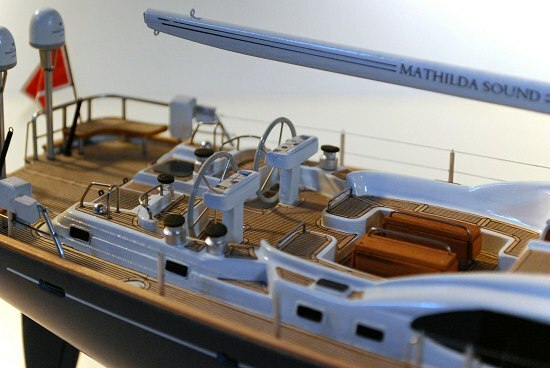 Modern sailboat and motoryacht models require a somewhat different approach to details. 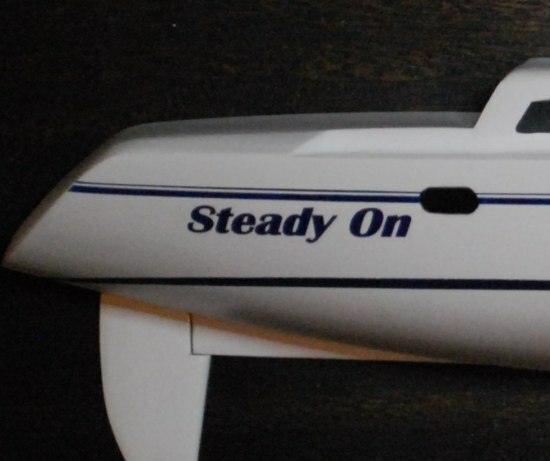 A lot of details are added to the superstructure, not the hull, and are often made of completely different materials. Every modern yacht model is considered Admiral Class and can come with furniture such as a bar, barstools, barbeque, spa, benches and tables etc. 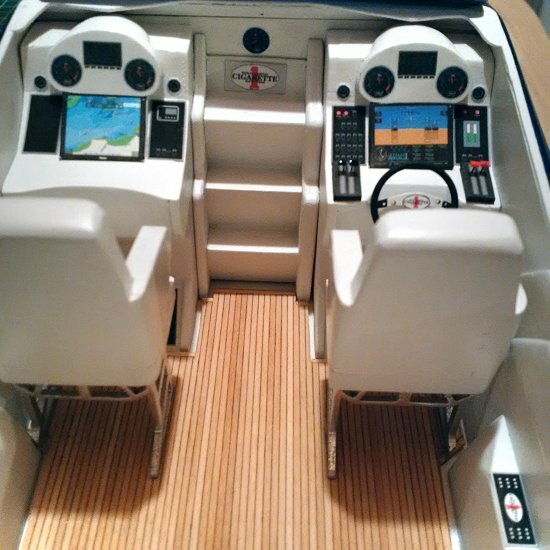 Since each model is a one-off model, all the particular details of your boat will be present. Cockpit details of a Marauder 50 SS Model. 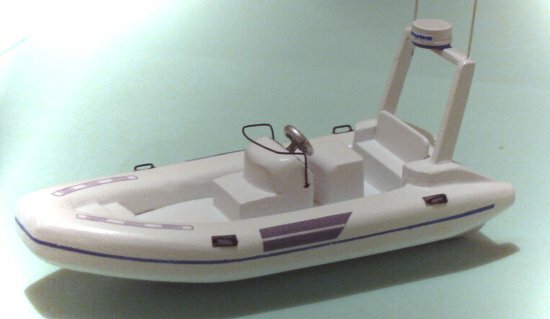 A 1:38 scale model of a Nautica RIB tender, just one of the deck detail on a larger custom yacht model. 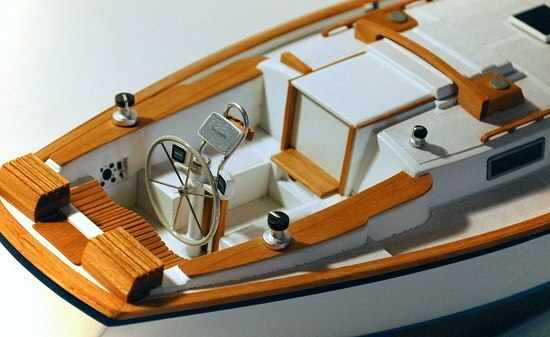 Deck and helm details of an Oyster 82 sailboat model shown above. Of course it's important to get your boat's name just right; location, size, font and colour!